English verbs are said to have two voices: active and passive. His son catches fly balls. Creative children often dream in class. Note: Verbs in the active voice may be either transitive or intransitive. The ball was caught by the first baseman. The duty is performed by the new recruits. The dough was beaten by the mixer. The mailman was bitten by the dog. Passive voice: The mailman was bitten by the dog. “bit” is now in the passive voice. The “receiver” has become the subject of the verb. A passive verb in either present or past tense will always have two parts: some form of the verb to be (am, is, are, was, were), and a past participle (verb form ending in -ed, -en, or any form used with have when forming a perfect tense). Is the subject performing the action of the verb or is the subject receiving the action of the verb? If the subject is receiving the action, then the verb is in passive voice. Sometimes the passive voice is the best way to express a thought. 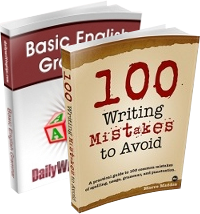 Used carelessly, however, passive voice can produce a ponderous, inexact writing style. While we prefer the active voice, we use the passive voice at times. I am doing a monografy about phrase verbs that cannot be used in passive voice, so I would like you could send a list of them. I would like you to explain to me the modal verb ‘would’ used in this sentence. ‘Any deal is still far off and would require a huge shift in relations between Iran and the West’. in sentences, what is more preferable is it active or passive? i would like to when is it necessary to omit the subject in a passive formation? 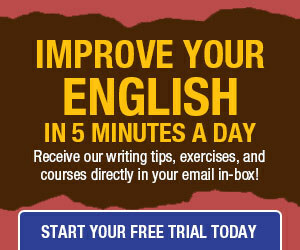 it is necessary to use verbs to be to indicate that a verb is in the passive voice?